As I planned my relocation from Denver to Addis Ababa, Ethiopia for at least a year, I turned to literature for a crash course in culture and history. Pleased to find that Ethiopia is well-represented on the literary map, I put together a syllabus of five good reads. Reading is not a solitary pursuit in Addis Ababa. Among the expat community here, book clubs are hot. I found a band of fellow lovers of literature to join within my first few weeks. Apparently there are at least four clubs to choose from, organizing themselves each month via email chains or Facebook. Any one of these five books would make an excellent book of the month. Each of these tales takes place in the 20th century, hinging on Ethiopia’s turbulent revolution in 1974. The overthrow of the final emperor Haile Selassie initiated a brutal communist era known as the Derg. These events are still very much a part of Ethiopia’s living memory. Through talented authors and the characters they depict, I feel as though I already know people who have lived through the turbulent period. All these readings offer something powerful to say about the Ethiopian condition. They’re a shortcut below the surface. Immersing myself in the stories, I dug into the complexities of Ethiopian society in a way that would take years of living here as a ferenji (foreigner). Mengestu wrote an acclaimed novel that takes a look at Ethiopian identity through a fictional émigré, Sepha Stephanos. He was displaced during the revolution in the 1970s. This is no feel-good refugee success story. Rather, it’s a melancholic reflection of the frustrations that await immigrants on the side of the fence where they thought there they would find greener grass. What it prepared me for: The Ethiopian diaspora. Ethiopians poured out of their homeland in the 1970s and 1980s. 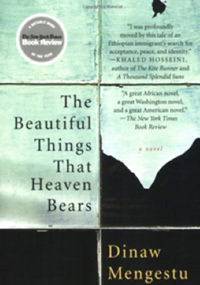 Washington, D. C, where the novel is set, is home to the largest of all diaspora communities. Almost everyone I meet in Addis Ababa has a D.C. connection. 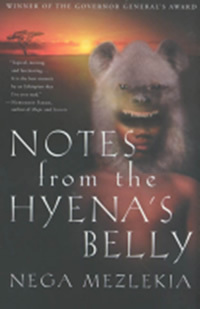 As a memoir, Notes from the Hyena’s Belly is a raw true-to-life read, with startling firsthand accounts of coming of age during Ethiopia’s revolution. Mischievous childhood tales are cut short by memories of youthful protests, imprisonment, violence, and even torture. What it prepared me for: The hyenas I hear at night but have yet to see. In the book, they appear as wry antagonists in Mezlekia’s sprinkling of traditional “once upon a time” fables. They also play a real-life role in the cleaning of carcasses from the streets at night. 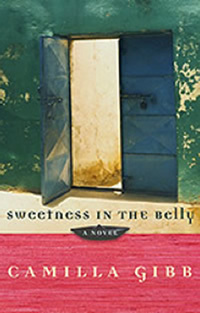 Spanning across Morocco, Ethiopia, and England, this novel follows its narrator Lilly from her British roots into the depths of devotion to Ethiopian Islam and back again. The story is anchored in Harar, an ancient walled city in East Ethiopia with a strong Muslim concentration. What it prepared me for: The details of daily life. Spot-on descriptions of coffee and incense ceremoniously roasting, the chewing of khat (a leaf used as a stimulant here), and the making of berbere (the pepper-based seasoning used in many Ethiopian dishes) demystified my first-time experiences. This 667-page tome is far from travel-sized, but it’s probably the best known and most widely read work of fiction to take place in Ethiopia. Set in an Addis Ababa charity hospital called Missing in the 1960s and 1970s, the medical saga’s cast of characters includes an Indian nun and a British doctor, their illicit twin boys, and the Indian expat doctors who raised them as their own. What it prepared me for: Ethiopian Airlines. It’s a state-owned monopoly that every traveler will likely encounter on a trip to Ethiopia. The country’s one and only airline has a longstanding history since it launched in 1946. One of my favorite scenes in the novel is a flight between India and Addis Ababa in the late 1960s. 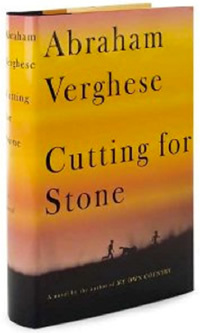 Whereas the other novels listed here used the revolution as a plot device or a backdrop, this one focuses on the events of the 1970s as the primary subject. 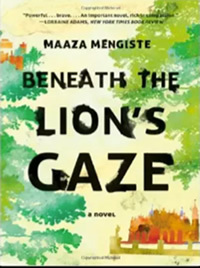 Mengiste goes so far as to present a fictionalized version of the ousted emperor Haile Selassie, with short chapters from his first-person perspective. What it prepared me for: The Red Terror Memorial Museum in Addis Ababa — the best history museum in the country. A character in Beneath the Lion’s Gaze rises to power in the Derg regime, and I found myself thinking about him a great deal during the museum visit. Cynthia Ord currently lives in Addis Ababa, where she works via shaky Ethiopian internet for a handful of travel brands, teaches an online course about sustainable tourism, and burns through her Kindle battery quickly. Visit her blog at cynthiaord.com.